Call (317) 434-2627 Serving Indianapolis for 15 years! Contact us today at 317-434-2627 to request AC repairs in Deer Crossing, Gateway Crossing, or Villages at Brookside. We are available anytime, day or night, and we have extensive experience with central air conditioners, heat pumps, and ductless mini splits from all the leading manufacturers. For a free AC repair quote, contact our team today! Our team at Service Plus can handle all the maintenance tasks for your air conditioning system, helping it to run more reliably and efficiently, while extending its lifespan. To schedule maintenance service anywhere in McCordsville, from Carroll Road to 600 West and beyond, contact us today! From broken blower fan belts, to compressor failures, our experts at Service plus can handle all your AC repair needs reliably, efficiently, and professionally. In addition to AC repair, we also offer installation and replacement services for air conditioners, as well as compete plumbing, heating, and indoor air quality services. Whether you live in McCordsville, Vernon Township, or Hancock County, contact Service Plus today at 317-434-2627 for quality AC repairs and maintenance. We had someone come to service our furnace and the tech was on time and called to let me know he was on his way. He was very courteous and professional. 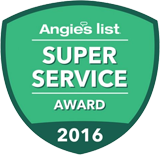 We won't go anywhere else for heating, cooling, and plumbing needs! This company stands behind their work and treats it's customers fairly. This was the second time we have had them out (first time was for AC tune-up two summers ago) and I am impressed with their professionalism. We will continue to use them in the future. Prompt Service and fixed problem in a timely manner. The Tech was very nice and friend and informative. Great job!! Technician called to let me know when he would be arriving and was here timely. Went through what would be done, answered my questions & made me feel I was important and not in a rush to get to the next call. The technician was very courteous and replaced the filter, worked quickly and wasn't pushing for me to buy additional products as usually happens with service companies. He was on time, and so polite! Thanks Service Plus!